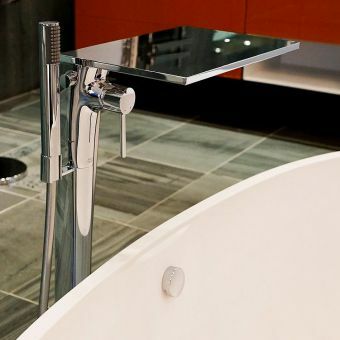 With Perrin and Rowe, you are paying for premier standards of design and function. 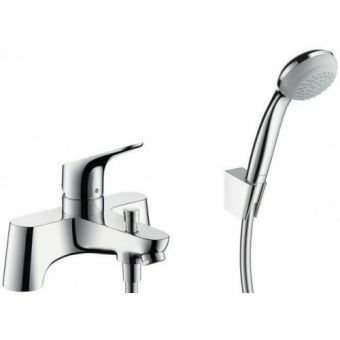 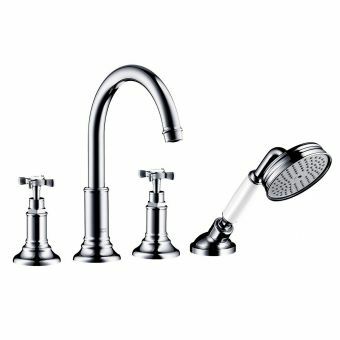 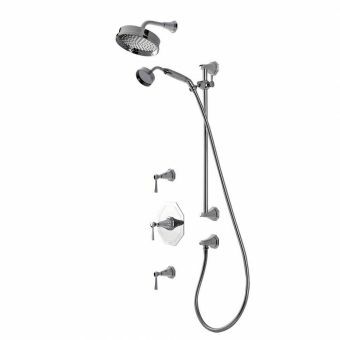 The four-hole bath set is mounted to the deck of your tub and includes two taps, a spout and a separate shower head. 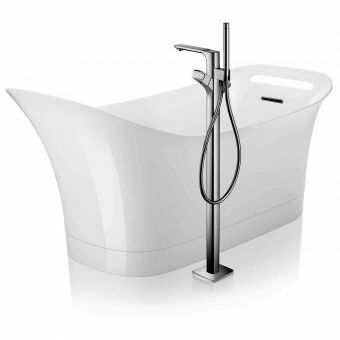 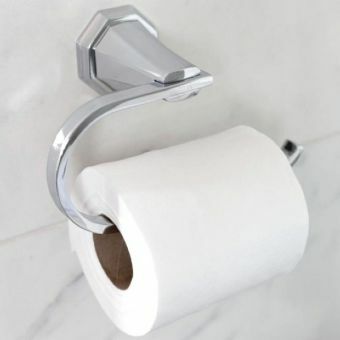 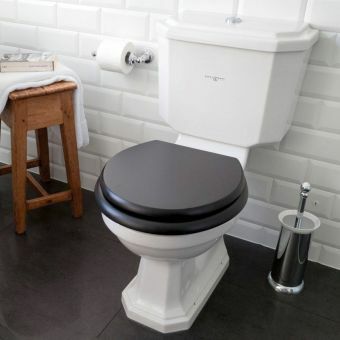 This all comes in a beautifully luxurious aesthetic with superb functionality, culminating in a unit that is both durable and easy to handle. 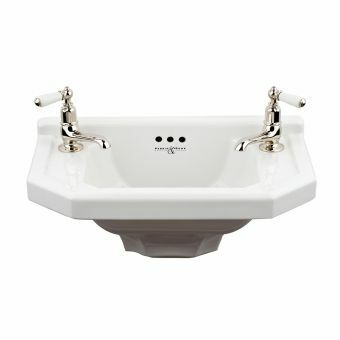 All parts of the unit are constructed from high-quality brass with low lead content. They are all plated to a degree of thickness that is higher than industry standards, so everything is robust and long-lasting. 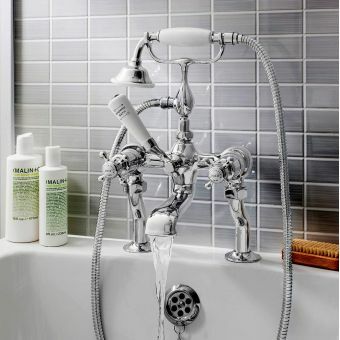 The connectors are flexible, so installation is simple for different shapes and sizes of the bathtub. 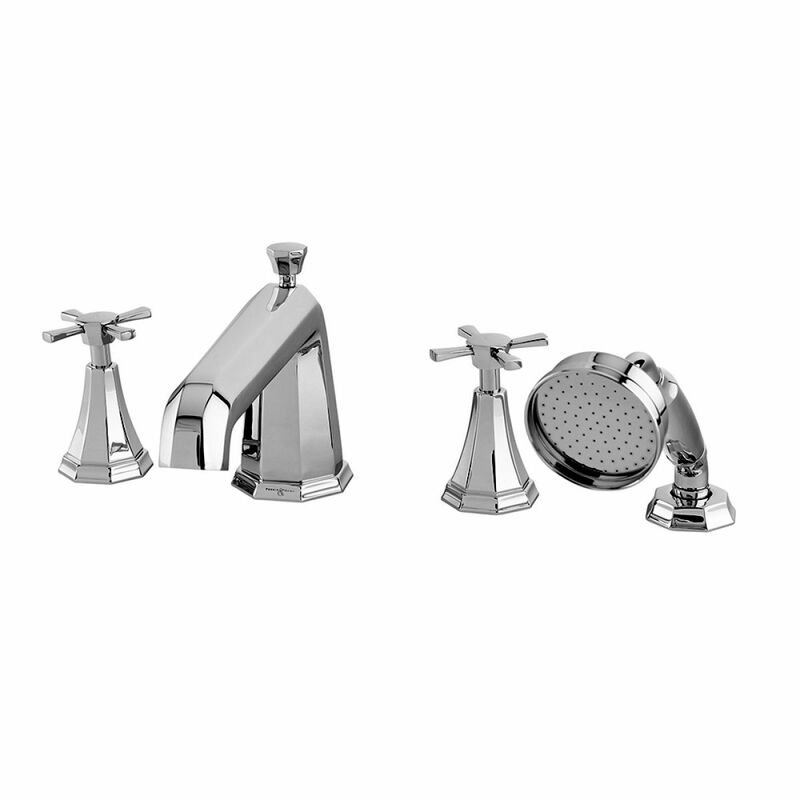 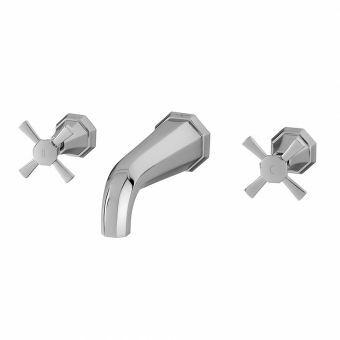 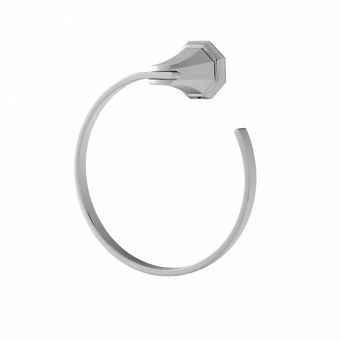 The luxury chrome finish offers a delicate beauty that will fit a deluxe bathroom decor. 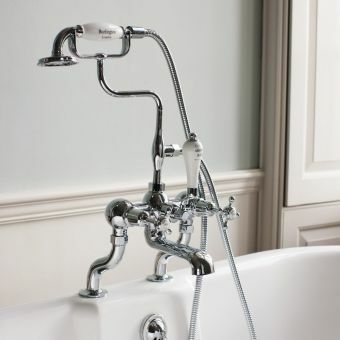 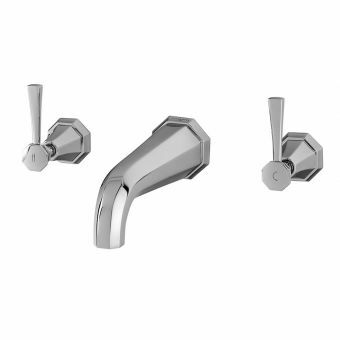 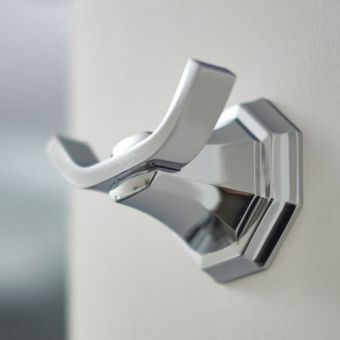 The taps feature lever handles for easy use, with a Vernier insert that aligns them accurately and integral bearing ring to maximise longevity. 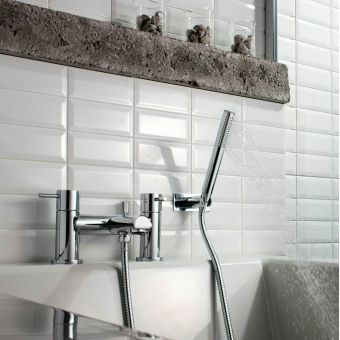 When you choose Perrin and Rowe, you are choosing the premium quality that won't be matched elsewhere.